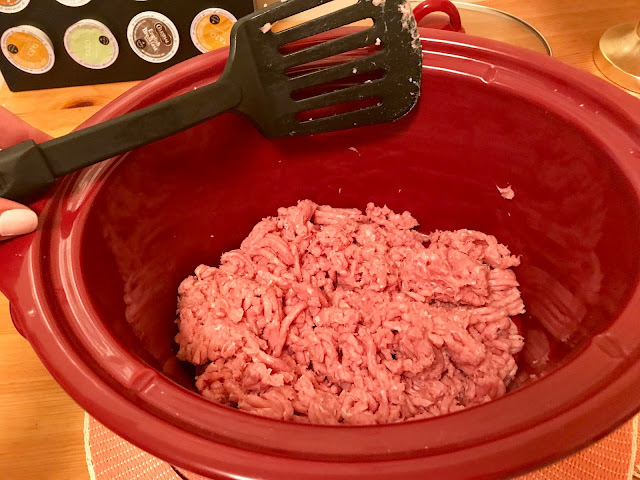 I know every Wednesday I've been doing the Want It Wednesday posts but after a long weekend of vacation I need to focus a little more on detoxing and healthy cooking over online shopping - we had an overload of fried food this weekend. I was really in the mood for some type of spaghetti or noodles dish and figured I would turn a hearty meal into a healthy dish instead. 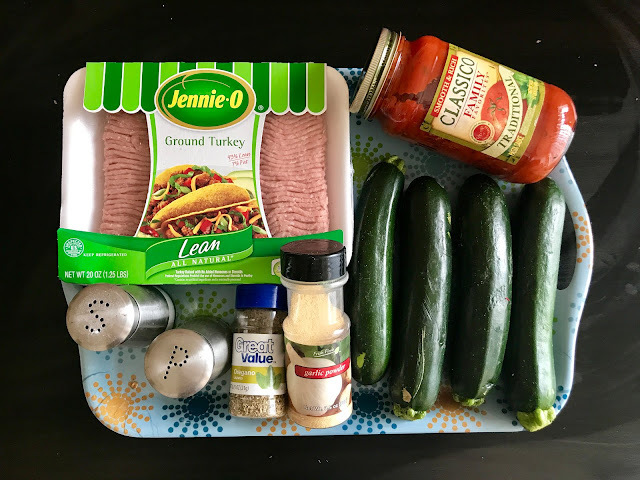 Check out this recipe for CROCKPOT TURKEY BOLOGNESE & ZOODLES I found on Pinterest - super easy and healthy! 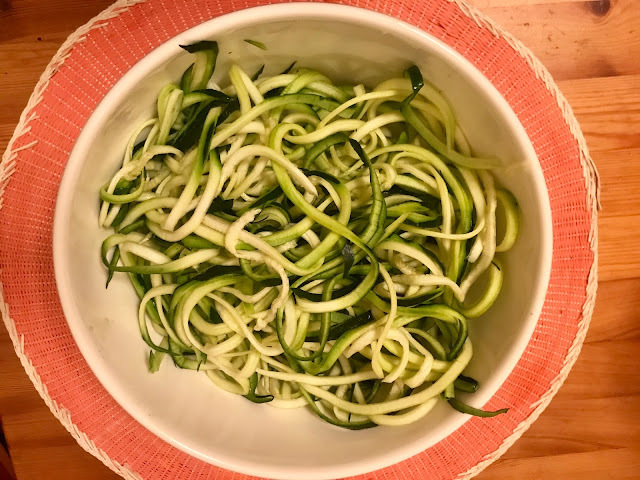 I got a veggie spiralizer a couple years ago for Christmas and I went on a zucchini noodle binge - I was obsessed! I haven't made zoodles in so long though... funny story, I actually accidentally picked up 4 cucumbers instead of 4 zucchini's - oops! Also, a link to the exactly spiralizer is HERE. 1 large jar of marinara sauce (3 1/2 cups) NOTE: The jar I used was not enough! It only came out to about 3 cups, i just added a bit from a jar I already had open. 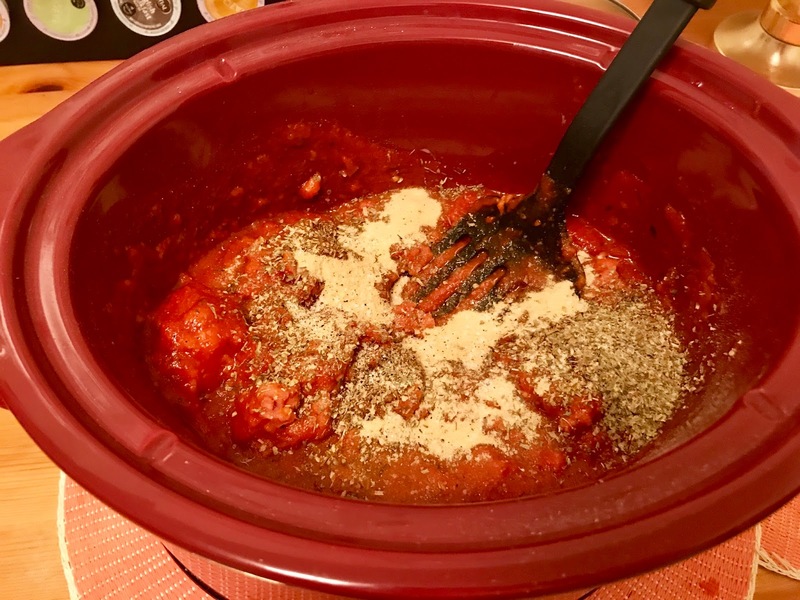 Add turkey and marinara to a slow cooker. Break up turkey into smaller pieces w/ wooden spoon or spatula. Stir in garlic powder & oregano and set the slow cooker on low for 3 hours. Use SPIRALIZER to cut your zucchini into noodles and pat them dry with paper towels. 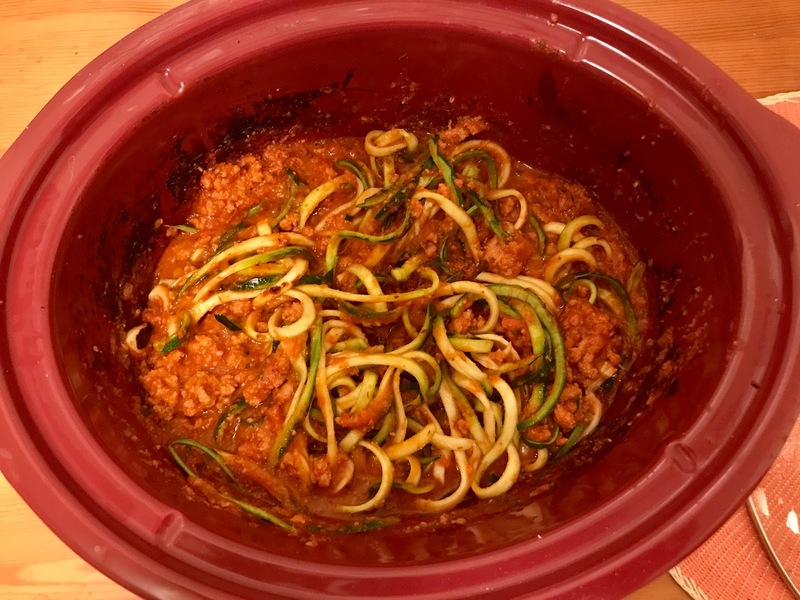 Once the 3 hours are up, add the zoodles to the slow cooker and toss with the sauce. Leave on low for 30 more minutes. NOTE: I recommend reheating on the stove NOT microwaving. Microwaving can make the zoodles mushy! Oh wow, that is impressive! AHH this look so yummy! I have never tried zoodles, I make most of my pastas with spaghetti squash. But I want to try zoodles!! i'll have to try and make some zoodles for myself they look amazing! Abigail Alice💕 | Check out my Morphe 350 Giveaway! Ugh, I know the feeling of needing a vacay detox! 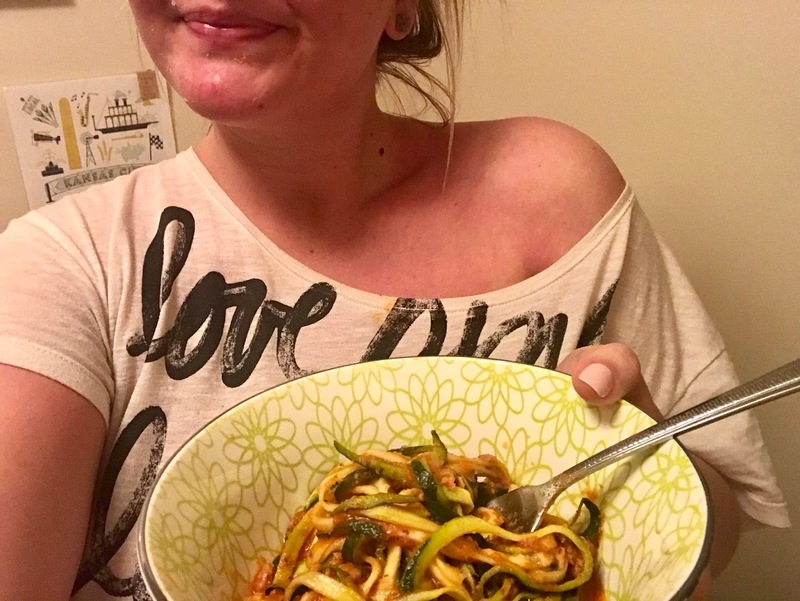 Aren't zoodles the best??! This looks amazing! Love crockpot food. WANT IT WEDNESDAY - WEDDING SZN UNDER $100!